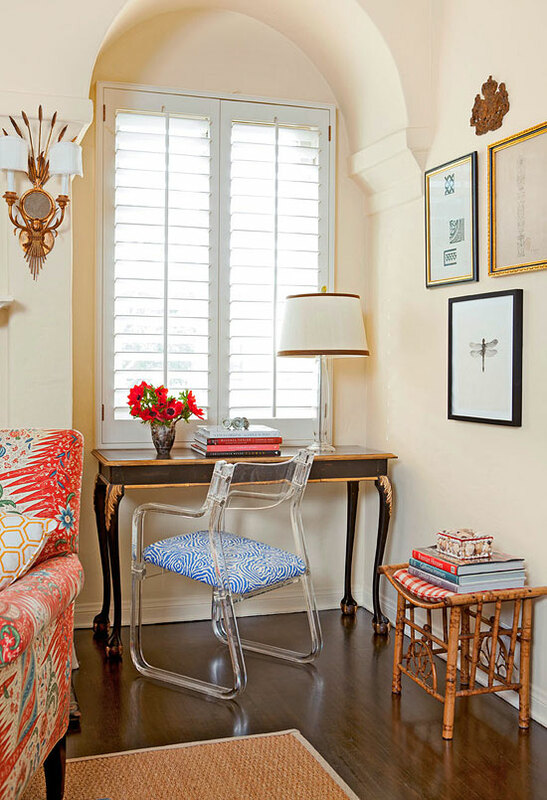 Mix and Chic: Home tour- A fabulously eclectic California home! 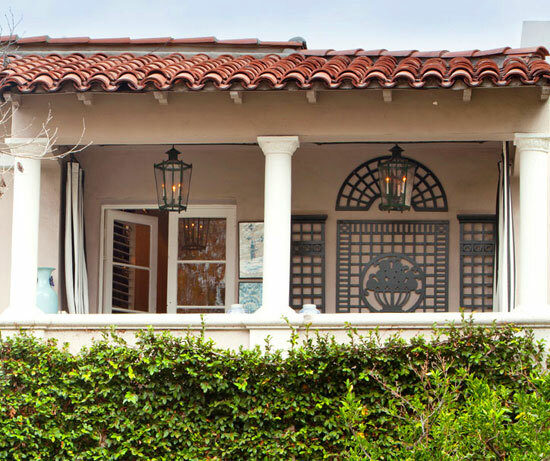 This beautiful 1920s Spanish style California home belongs to homeowner, Carmen Lopez. With a gift for decorating, the advertising director for People en Español magazine also "works" part-time as a decorator for family and friends. 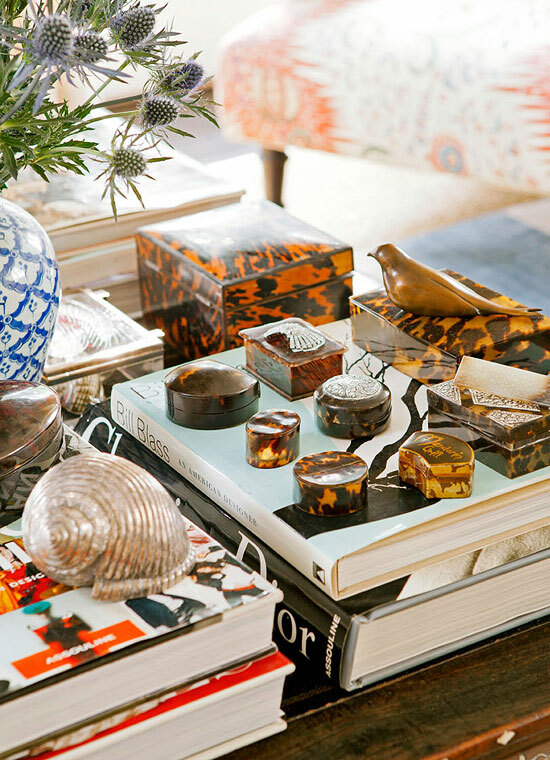 A collector at heart, she collects an assortment of enchanting curiosities, which reflects her life, her memories of peoples, places and travels. 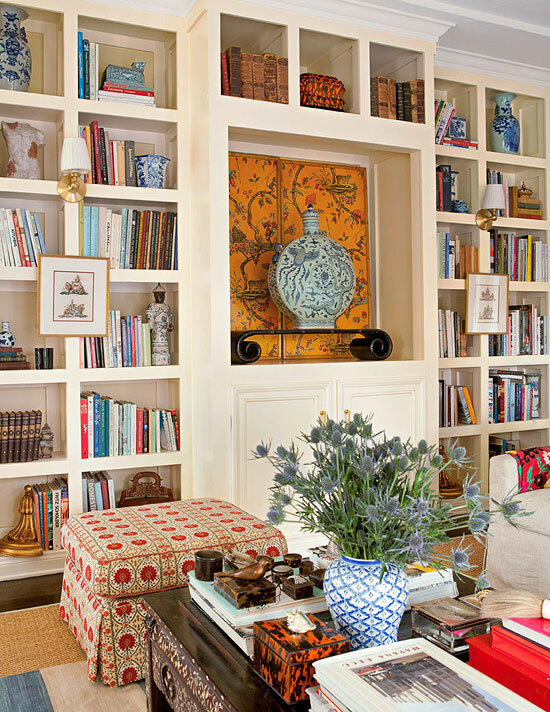 Let's take a tour of her fabulously eclectic home below! 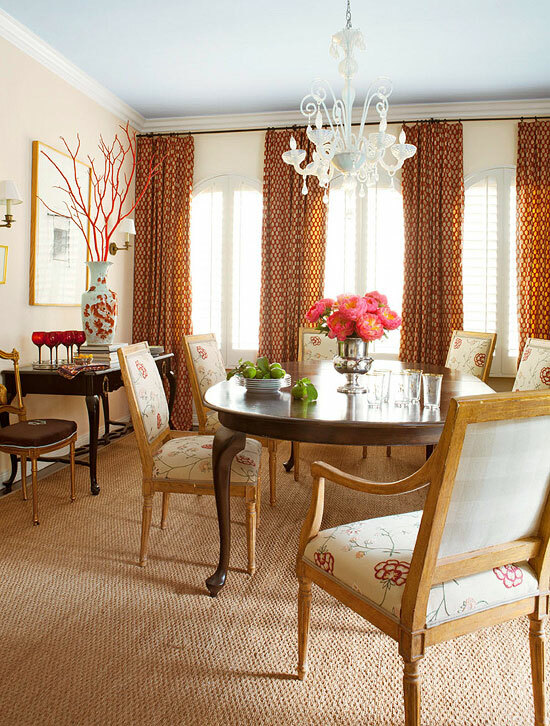 Carmen truly has an incredible eye for design, don't you think? 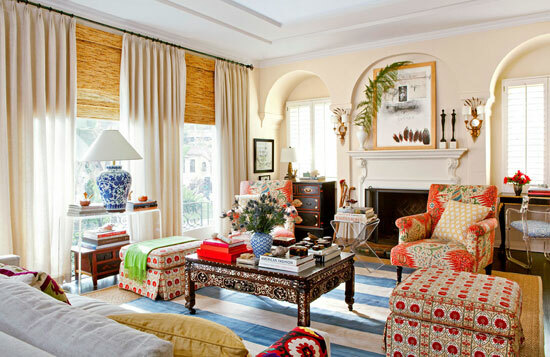 Her home is an absolute eye candy! 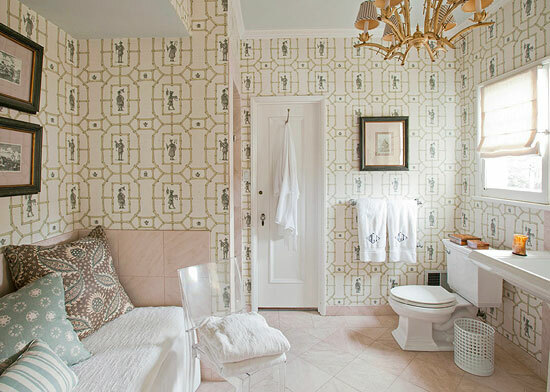 There's one thing I was surprised to learn is how she cleverly converted her bathtub into a spa-like daybed, which she upholstered in terry cloth instead of replacing the dated tub in her master bathroom and it works! 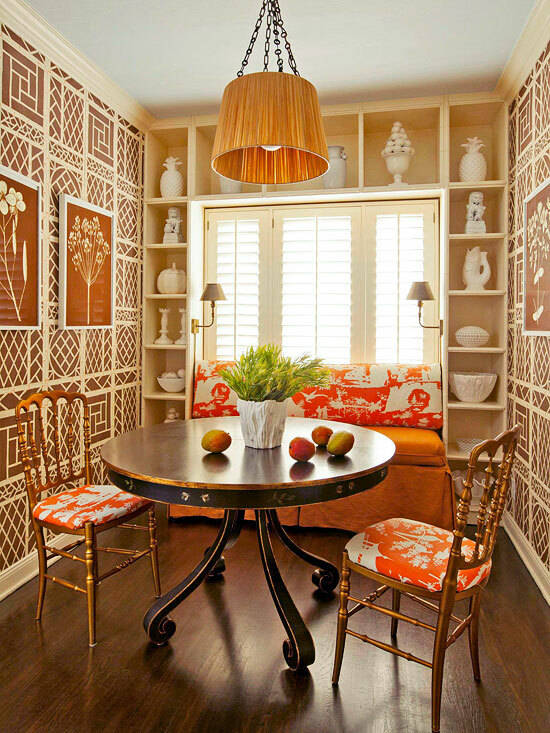 No matter how many times I have looked at it, I just couldn't take my eyes off her chic and dramatic tangerine breakfast nook. 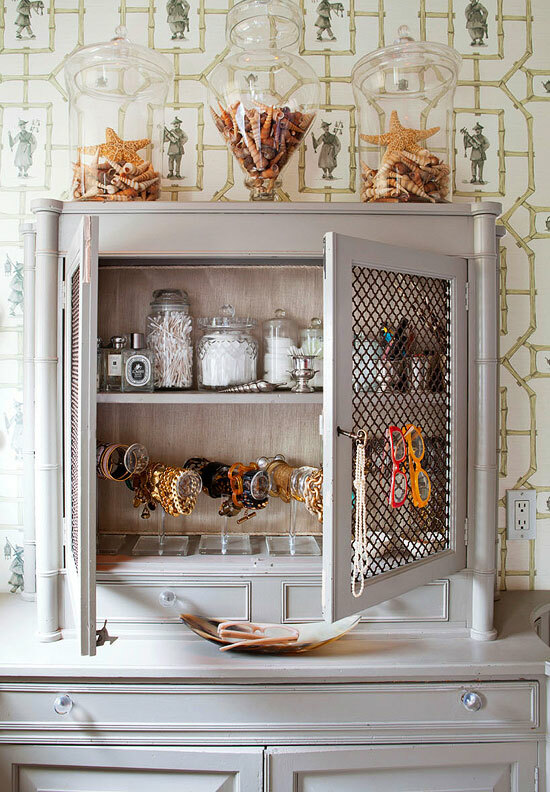 I am also swooning over her gorgeous wallpapers and love the way she beautifully displayed her wonderful collections in her hutches. 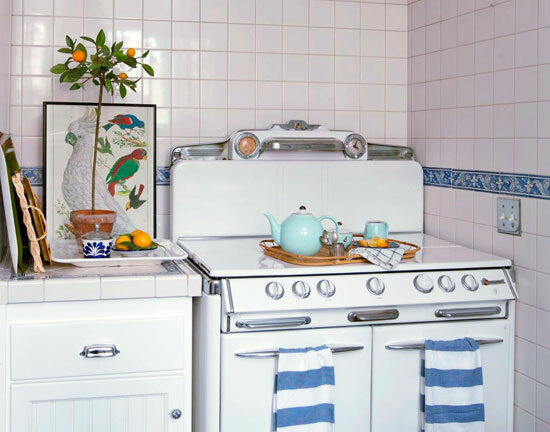 This home tour is really inspiring! 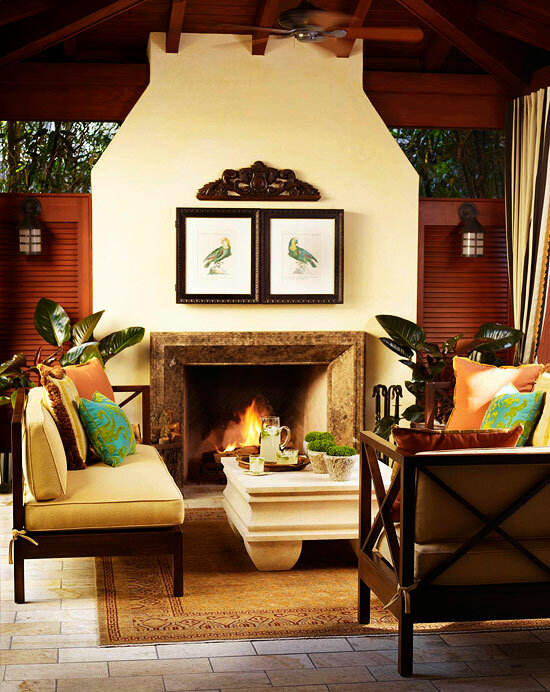 Do you find this home inspiring too? Which room catches your eye? I would love to know! 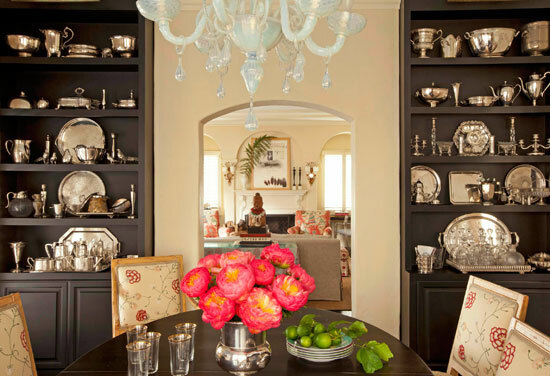 oh my good gracious, that milk glass chandelier in the dining room is all i can look at!! You had me at 1920's Spanish. Muy gorgeous. Girl has skills. I can't imagine polishing all that silver in the DR-It's magnificent! This is a work of greatness. There are colors all over the place and she makes them look marvelous together. That's SOMETHING! BTW I did the same thing with a bathtub in a hall bath in a home we had in 1993! MC made took plywood and made a "top", we covered it with fabric, added a number of accent pillow and drapped the side of the tub with a long bed skirt. All the extra fabric was tucked into the tub! I just prayed no one ever turned the faucets on! I have to say I have done some nutty things over the years....To see this done by a Professional makes me feel good! Maybe I'm not entirely crazy! This house is absolutely gorgeous...Love it! Thanks for sharing, have a wonderful weekend! Visually exciting. So well done! 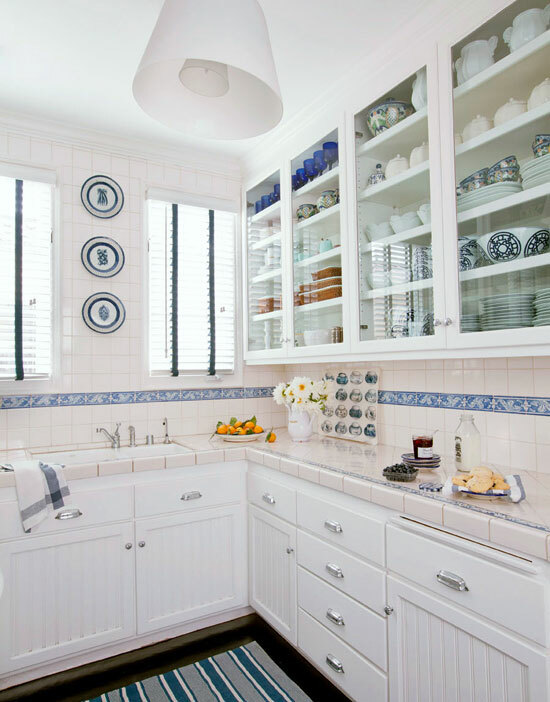 Looking at the way she styles her home has given me some great ideas. Thanks for the eye party! Lovely home and so personal. Pinning away here, Jessie! I want to live like this. 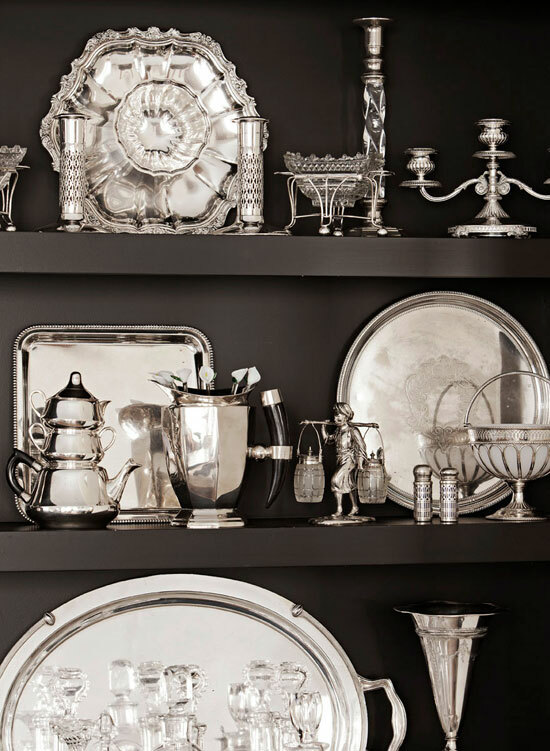 the Dining room shelves are so gorgeous. I love the silver collection displayed. Great post. Love,all the colors,and the wallpaper! omg total eye candy! 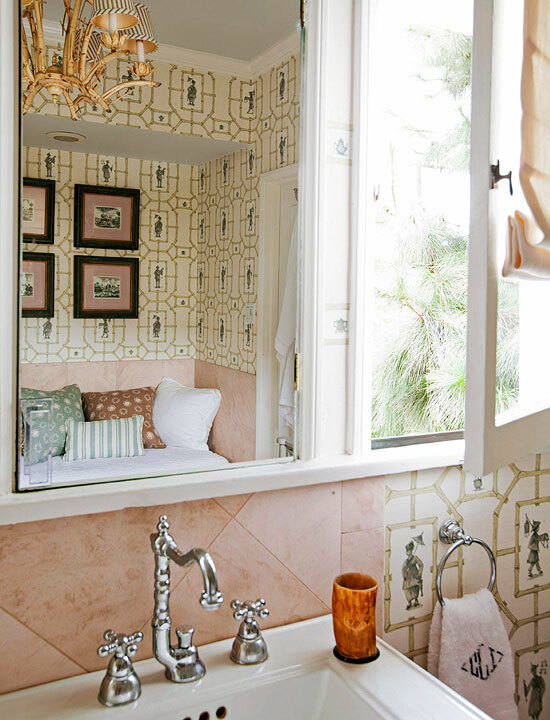 love the chandelier in the bathroom! 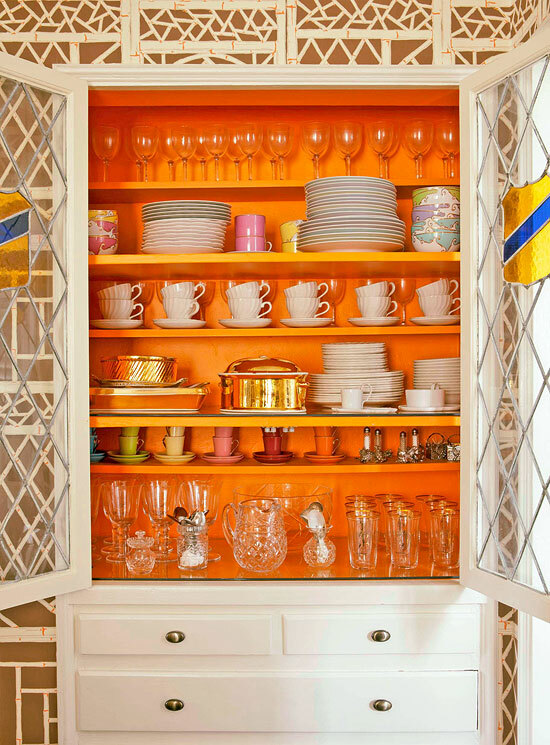 and the wallpaper in the dining room with the pop of orange in the dining buffet cabinet. So fun! thanks for sharing! hope you're doing well!